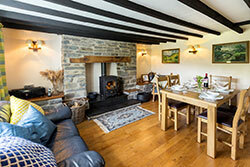 Esgair Wen, a four star cottage offering delightful self catering accommodation of character. 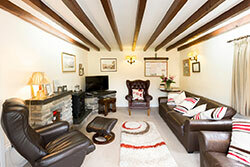 Relax and unwind in this enchanting cottage, steeped in history. Enjoy the warm welcome, the peace and tranquillity, dramatic countryside and remarkable wildlife, and even gaze at the stars without the distraction of light pollution. Wake up to a stunning view of the open moorland from your bed. 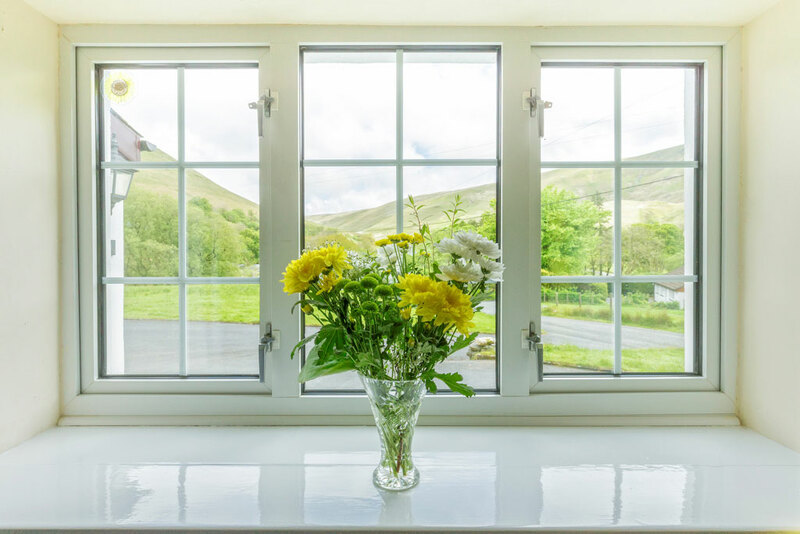 Esgair Wen is beautifully situated overlooking the Ystwyth Valley on Tyllwyd, a 1000 hectare sheep farm. It is on the Devil's Bridge to Rhayader mountain road, a road which has been considered by the AA as one of the most scenic routes in Europe. 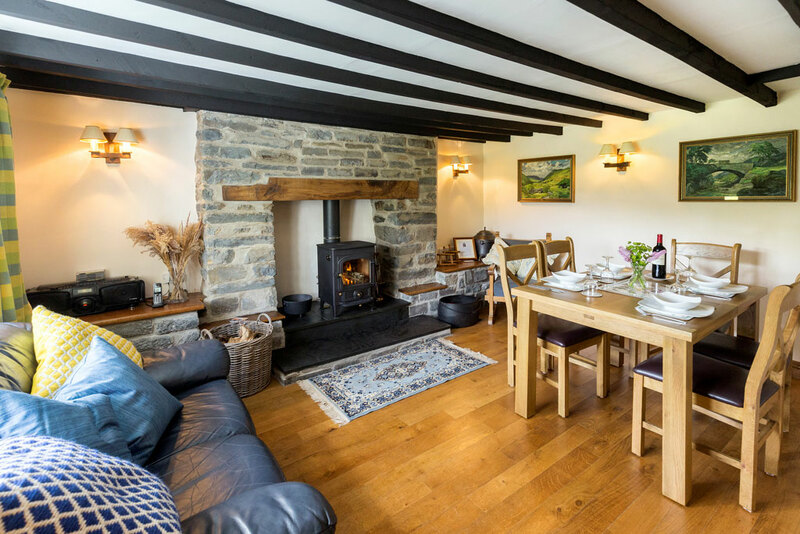 The cottage sleeps 6 people, is attractively and comfortably furnished whilst retaining the charm and character of a typical Welsh cottage. The beams, the stone built fireplace, the oil paintings of local scenes and the old framed documents give it a strong sense of place. 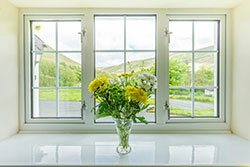 Originally a small shepherd's cottage, it has been a popular holiday destination for walkers, birdwatchers and fishermen for many years, with a high percentage of repeat bookings. There is a grassed playing area in front of the cottage and a splendid ‘tiddler’ stream nearby which offers supervised children many hours of fun. 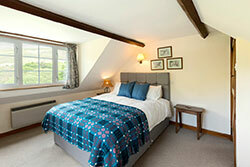 Walkers and birdwatchers can walk onto the open moorland from the rear of the cottage and there is ample parking space. We welcome a well behaved dog, but not to be left in the house on its own during the day time. There are six working sheep dogs on the farm - and there is ample opportunity for guests to see these dogs working in their natural environment. Enjoy a daily exercise of “one man and his dog”. 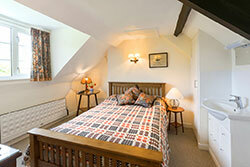 Esgair Wen combines all modern comforts with the traditional charm of a Welsh cottage. 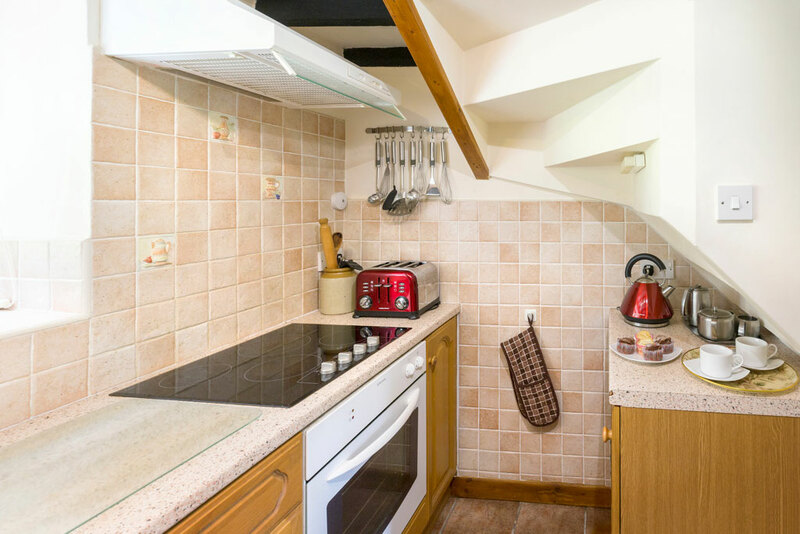 A compact fully equipped refurbished kitchen with a serving hatch to the dining-room, electric cooker with hood, refrigerator, freezer, microwave, electric kettle, toaster, iron and ironing board. Groceries may be ordered in advance and delivered prior to guests arrival. Dining Room with a Wood Burner in the inglenook, ( logs available), light oak table and chairs, leather sofa and country style chairs and an oak floor. Wi- fi has reached Cwmystwyth! Lounge is comfortably furnished with 2 leather settees, armchairs, fine antique furniture, colour television and a good selection of interesting books, guides and leaflets on the area. Bathroom refurbished with bath, shower cubicle, wash basin, toilet etc. Telephone to be used for incoming calls only. 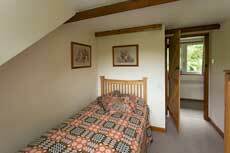 2 double bedrooms - 1 with king size bed and 1 with a double bed. Both bedrooms with hot and cold water. 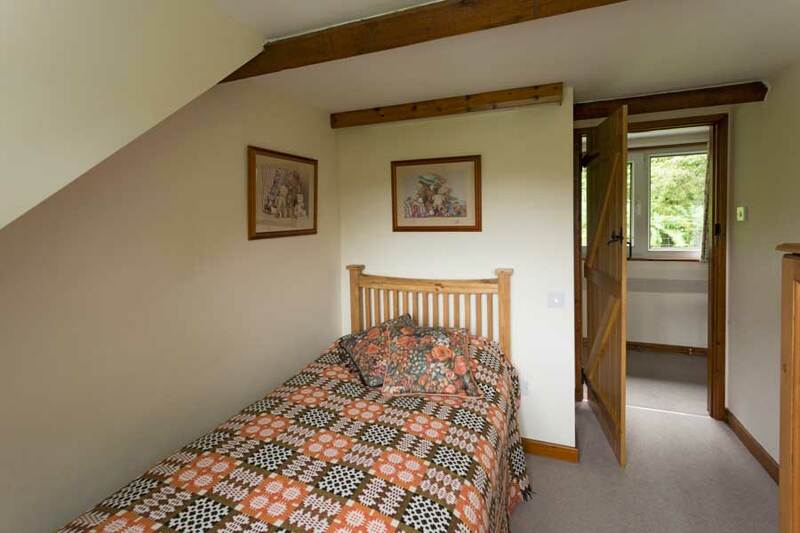 2 smaller bedrooms with single beds and cot. All bedrooms are furnished with chest of drawers , mirrors, cupboards and chairs and beds are made up ready for your arrival. Towels and tea towels etc. are not provided. The accommodation is personally supervised in between lettings in order to ensure a high standard of cleanliness. Utility Room and Toilet. This large lockable utility room has washing facilities, a washing machine and is ideal for the safe keeping of fishing tackle, waterproofs, bicycles etc. There are no slot meters for the electricity costs - a meter is read at the beginning and at the end of a stay, and the units are charged at the rate given to us by the electricity company. Guests are kindly requested not to arrive until after 3.00pm on day of arrival, and leave by 10.30am on morning of departure. For directions to Esgair Wen, see the map page.